Historically-- when I was drawing on paper-- it was always in black ink on a white sheet. Stones-- being what they are-- don't offer such simplicity because they come in a myriad different colors and surface textures. Some are reflective, some are not. Some are rough, some are as smooth as a polished surface. 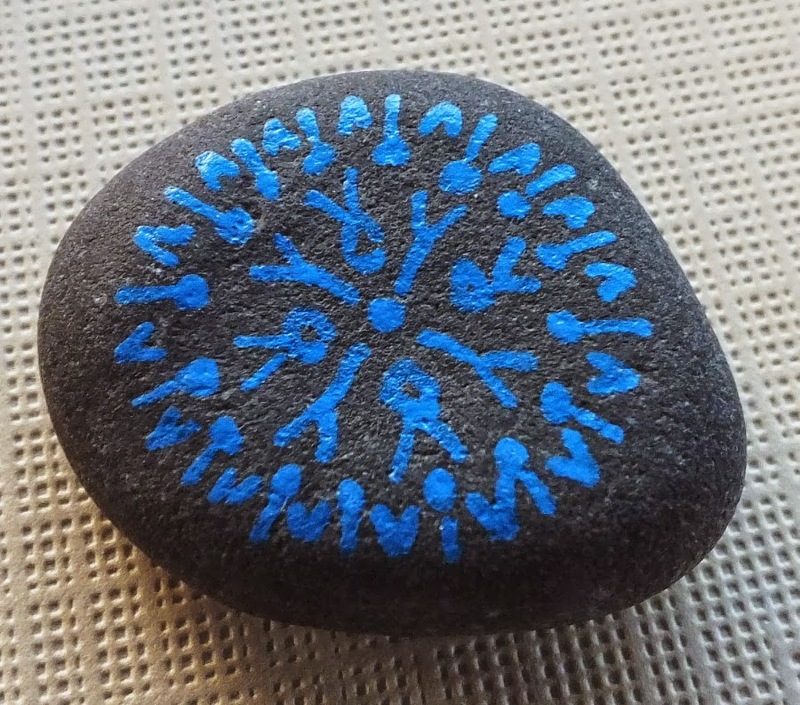 This is a fairly small stone with a pretty "basic" sort of design. The deep slate color of the rock would not have lent itself well to a black design, so I experimented with blue paint on this one. 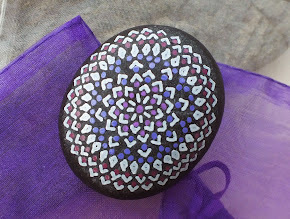 Although this stone is not round, its shape lent itself pretty well to a circular design. However, because the stone's surface was slightly "sandpapery," it proved difficult to create very thin well-defined lines... one of the drawbacks of slightly rough surfaces is that the paint tends to "feather" when applied.